This study was to find out the significant correlation between students’ speaking self-efficacy and their speaking achievement and to know the significant influence of speaking self-efficacy on their speaking achievement. 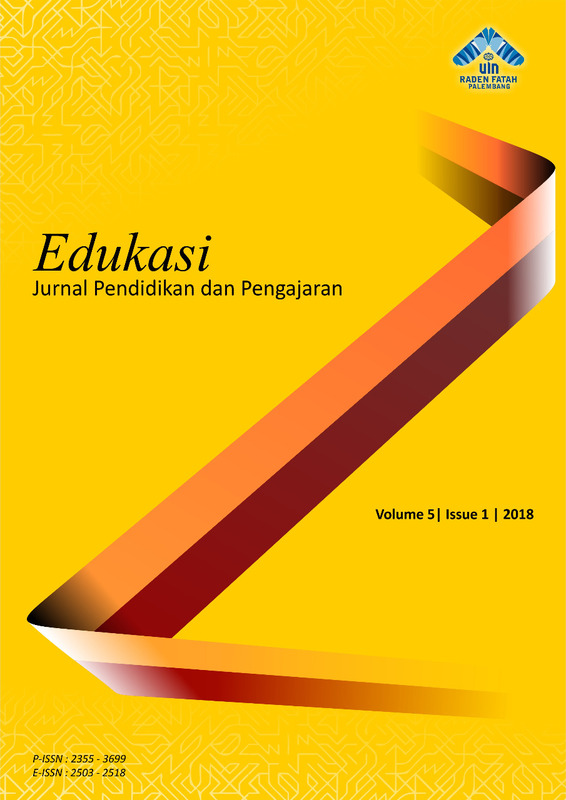 The population of the study was 470 active students of English Education Study Program of Tarbiyah Faculty and Teaching Sciences at State Islamic University of Raden Fatah Palembang in academic year 2017/2018. The sample of this study was 103 students of all the students in sixth semester chosen by using purposive sampling technique, but there were 96 students participating when the study was conducted. A questionnare was used to measure students’ speaking self-efficacy and a speaking test was conducted to know students’ speaking achievement. The collected data then were analyzed by using the correlational and regression analysis computerized with SPSS 22. Based on the analysis results, it was found that there was statistically significant positive correlation between self-efficacy and speaking achievement in p-output was 0.00 which was smaller that 0.05 (0.00<0.05). Besides, the correlational coefficient of the test was .349. Thus, the level of correlation was weak. This study also indicated that students’ speaking-self-efficacy influenced their speaking achievement with contribution 12.2%.